If you haven’t read Witch Song (book 1) go read it. It’s great! My review will be up soon. Some things can’t be saved. Lightning flashed, dressing the island in white. Stinging rain pounded against Senna’s face. She crossed the Ring of Power and shot inside the trees again. Spared? Dying?By the Creators, what had the Heads meant? What was happening to her? Senna wanted to run straight out of Haven and hide. She darted off the path, into the dense foliage. Gasping, she collapsed against a tree. With her forehead pressed up against its moist bark, she tried to slow her galloping heart. Her injured hand pounded in rhythm to the blood pumping through her. Suddenly she stiffened and the hairs on the back of her neck rose. Someone was watching her. She stole a look around, but saw nothing besides shadows skulking from the light. Was it one of the attackers from the other night? She shouldn’t have wandered off alone again. All the trees around the Ring of Power were inhabited. But in her desperation to get away, she’d left the inhabited quarter. She was alone now, in the dark forest. She saw no movement, no hint of anything. She cursed herself for leaving her seed belt in her tree house, but she hadn’t wanted to risk getting the seeds wet. Unable to bear it anymore, Senna backed deeper into the foliage. The plants in front of her suddenly shivered. She opened her mouth, a scream on her lips. She gaped at him, partially horrified by the lack of privacy, partly relieved she wasn’t alone. The cold had settled so deep in Senna’s bones she wasn’t sure she’d ever be warm again. She tugged up Josh’s shirt and pressed her cold hands against the hard muscles of his stomach. She heard his sharp intake of breath, but he didn’t push away. She snuggled her cold nose against the crook of his neck. He walked with her toward the inhabited quarter. He pushed her in front of him and pulled his knife free. They crossed the barren Ring of Power. She only stopped long enough to grab her abandoned boots. She hesitated when she saw the lantern light in her parlor. A lecture was surely waiting for her inside. His broad shoulders drooped a little. He had to know Senna’s mother didn’t like him. “I or one of the other Guardians will be here in the morning. Bolt the door and stay inside until then.” He kissed her piously and stepped back, then waited while she mounted the steps. She knew he wouldn’t leave until she’d locked the door. Through the window, she watched him go, but her gaze was drawn back to the darkness. Shefelt someone out there. She stepped back and pulled the drapes closed. Behind her, Senna’s mother used a dried leaf to mark her place in her book. “Why are you barefoot?” She found a towel and tossed it to her daughter. Senna dropped her boots by the door and started cleaning her feet. Senna sat at the table, her cheeks burning as her mother cut away the soiled, damp wrapping. 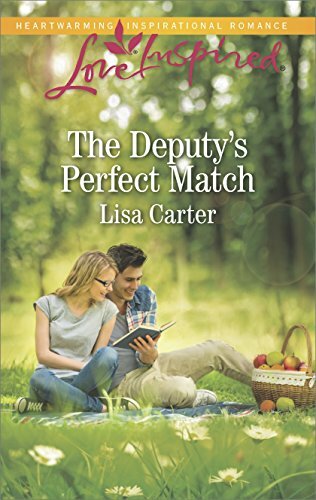 She knew what her mother thought—that she’d sneaked away to meet Joshen—but she couldn’t tell her the truth. “They do.” Senna’s palm was wrinkled and waxy. The stitches stuck out, black against her pale skin. The puckered wounds almost looked like the pursed lips of an old man. “Just because you failed doesn’t mean I will,” Senna said coldly. As though some unseen weight bore down on her, Sacra took a labored breath. “It’s healing nicely. Try to keep it dry this time.” She trudged up the stairs. Traveling…Senna straightened. “What legend?” Legends were sometimes based on fact, after all. Sacra shook her head. “The legends of women long dead.” She started back up the stairs with a set in her shoulders that indicated she would speak of it no more. The open, loving relationship Senna had once had with her mother seemed far away and long ago. All Senna felt now was the hollow ache where once light and warmth had been. After hanging up her sodden cloak by the stove, Senna went to her own room. Traveling. If her mother knew the name for what Senna had done, then so did the Heads. Why hadn’t they told her? Why were they keeping things from her? Perhaps because by Traveling, she could unearth the truth they were hiding. Which meant she had to try it again. She had to go back to that hidden land. She changed out of her damp clothes one-handed, put on a fresh shift, and crawled under her blankets for warmth. She imagined herself as a grain of sand at the mercy of the Four Sisters. It came easier this time. No sooner had she let her mind relax than her soul left her body again. The wind caressed her skin and wrapped around her with the sound of high strings and the tinkling of hundreds of raindrops. Her senses wanted to dance with the music, to sing and be sung to. Though she’d only experienced this once before, her soul seemed to crave it. She danced across the waters, her feet kicking up drops that sparkled with captured moonlight. She flew with birds, the wind tickling hair and feathers, like she was simply one of them in a different form. But her joy ground to a halt when the barrier shimmered to life before her. She didn’t want to cross it. Not just because it couldn’t exist, but because she somehow knew they would be waiting for her. But she had committed herself to finding answers, and this was the only way she knew how. Going through the barrier felt a little like crossing a curtain of honey, but it didn’t seem as thick this time. It was as if it was somehow diminished. The wind set her down in water up to her ankles. The rocky shore bruised her feet and the chill water splashed the hem of her shift. Trying to discover where she was, she cast her senses of the Earth Sister outward. An island. Westward, beyond the ocean, was more land—a desert, mountains. Just as she drew upon the Plant Sister, the ground vibrated beneath her feet, and she heard Witch song again. The rocks and dirt stirred beneath her. No, not stirring—shifting. Shifting away from her, as if she’d grown so heavy the ground couldn’t bear her up. All at once she realized her danger. She bolted out of the water, but with every step she took, the ground only sucked her in faster. Faster and faster she sank until she was buried up to her waist. She called for the wind to carry her away. It surged around her, whipping her hair around her like something alive. But the wind wasn’t strong enough to lift her out of the mud. All at once, rain pelted her, making the ground softer beneath her feet. Plants and vines reached out to snag her arms, immobilizing her as the dirt swallowed her up to her breasts, then up to her neck. She screamed, her mouth filling with dirt. She couldn’t breathe, couldn’t move. Using the last air in her lungs, Senna sang. The trembling ceased, and the plants loosened their grip. Senna clawed her way out of the rough hole and staggered to her feet. Her injured hand ached fiercely, and she was covered in welts and scratches. Breathless, she sang for the wind to take her home. She was lifted from the mud and hurtled across the skies into her own bed, into her own body. Here are the links to the rest of Chapter 5 and 6. Enjoy! GIVEAWAY! 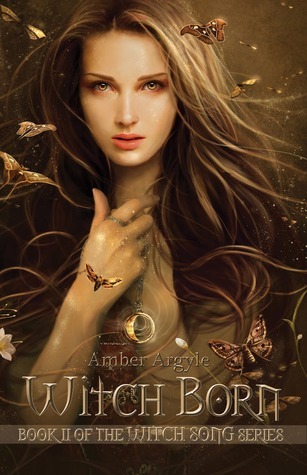 Amber Argyle has provided an eBook of Witch Born for me to give away. If you haven’t read Witch Song you can win that eBook instead. Enter the rafflecopter below. Good luck! Have not read it yet, but it is now on my TBR pile. Thank you for the giveaway. I haven't read it yet, but I'm looking forward to it. Got a free copy of Witch Song for my kindle but never heard of Witch Born. Would like to know more. Thanks for giveaway. Hi everyone. *waves* Thanks for participating! We can do Witch Song if Shelby wins. My library buys books I request, because they're awesome. I hope your library has the same policy. Kitty and Erika- Witch Song is a great book! My review will be up soon. Blacky- I liked Witch Song too. I started Witch Born yesterday, and I'm really loving it so far. Already exciting! Leah- Witch Song is really good. You should definitely check it out! No I haven't but would like to! Haven't read it yet, but it sounds really good! I read Witch Song and i liked it.I can't wait to read Witch Born.